All the fun of a traditional country fete organized by the local community in a beautiful riverside setting beside the Henny Swan pub. Traditional games such as the Coconut Shy, Bowling for the Pig, vie with newer ones. 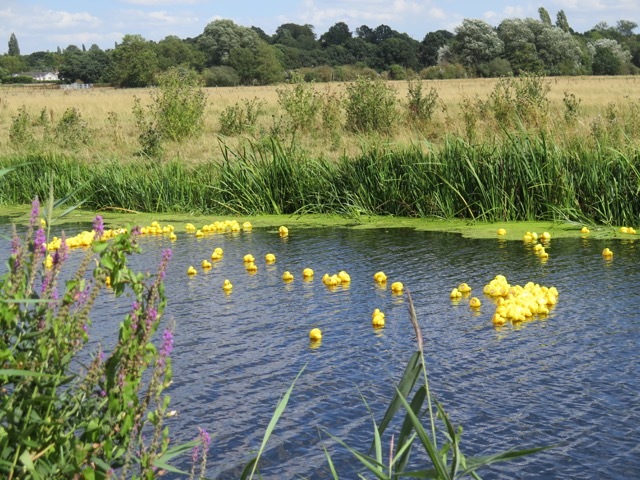 Games for young children in a safe fenced of setting and as a climax the River Stour Duck Race. Over 400 ducks swam down the River last year to a nail-biting finish. All the usual stalls. River boat trips. And finish with a relaxing drink along the Essex/Suffolk border.